Regarded by some as the leading novelist of the Eighteenth Century, Samuel Richardson is best known for his epistolary novels, which changed the course of English literature. 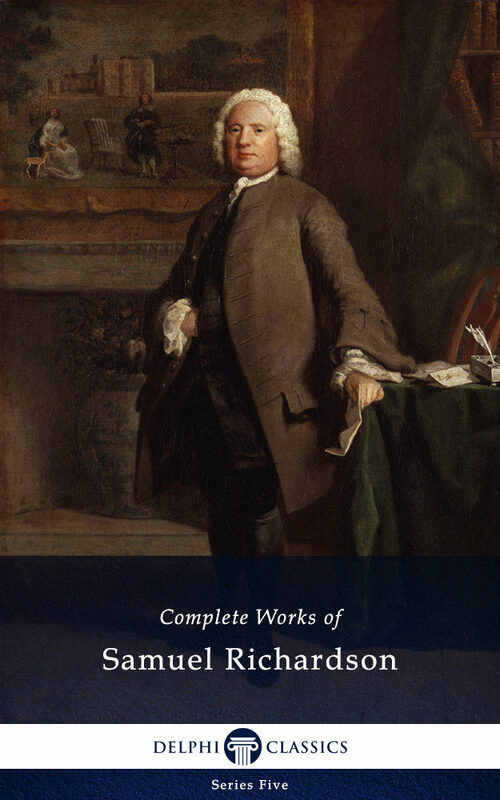 This comprehensive eBook presents the complete works of Samuel Richardson, with numerous illustrations, rare texts appearing in digital print for the first time, informative introductions and the usual Delphi bonus material. (Version 1) * Beautifully illustrated with images relating to Richardson’s life and works * Concise introductions to the novels and other texts * ALL 4 novels, with individual contents tables * Images of how the books were first printed, giving your eReader a taste of the original texts * Excellent formatting of the texts * The complete translation of AESOP’S FABLES, first time in digital print * Special numerical and alphabetical contents tables for the fables * Includes Richardson’s non-fiction, with rare essays - spend hours exploring the author’s wide range of texts * Special criticism section, with essays evaluating Richardson’s contribution to literature * Features two biographies, including Thomson’s seminal study - discover Richardson’s literary life * Scholarly ordering of texts into chronological order and literary genres Please visit www.delphiclassics.com to browse through our range of exciting titles CONTENTS: The Novels PAMELA; OR, VIRTUE REWARDED PAMELA IN HER EXALTED CONDITION CLARISSA; OR THE HISTORY OF A YOUNG LADY THE HISTORY OF SIR CHARLES GRANDISON The Fables AESOP’S FABLES The Non-Fiction THE INFIDEL CONVICTED THE APPRENTICE’S VADE MECUM THE SEASONABLE EXAMINATION OF THE PLEAS AND PRETENSIONS LETTERS WRITTEN TO AND FOR PARTICULAR FRIENDS A TOUR THRO’ THE WHOLE ISLAND OF GREAT BRITAIN COPY OF LETTER TO A LADY, WHO WAS SOLICITOUS FOR AN ADDITIONAL VOLUME TO THE HISTORY OF SIR CHARLES GRANDISON ANSWER TO A LETTER FROM A FRIEND SIX ORIGINAL LETTERS UPON DUELLING PREFACE TO AUBIN: A COLLECTION OF ENTERTAINING HISTORIES AND NOVELS The Poetry A VERSE FROM THE GENTLEMAN S MAGAZINE The Criticism REMARKS ON CLARISSA, &c. by Sarah Fielding THE ENGLISH NOVELISTS by William Hazlitt The Biographies THE LIFE OF SAMUEL RICHARDSON by Sir Walter Scott SAMUEL RICHARDSON: A BIOGRAPHICAL AND CRITICAL STUDY by Clara Linklater Thomson Please visit www.delphiclassics.com to browse through our range of exciting titles.